As Marketing Associate for Pelican Book group I have access to books at all time and usually carry a box around for marketing purposes. However, I am under no obligation to read much less review them. Even when I do read, I hesitate to review based on the "presumed" bias and with the quality of books Pelican produces, bias is highly possible. That said, I will not review a title I don't like. So, when I first opened Whispers on Shadow Bay my first thought was.... ..."Aw, it's first person." Not only am I not a fan of first person, I don't read much suspense or mystery because I normally figure out the culprit long before the story has ended. But after my immediate objection, I thought, "Just start reading." And am I ever glad I did. This story grabbed me from the beginning and never let go. 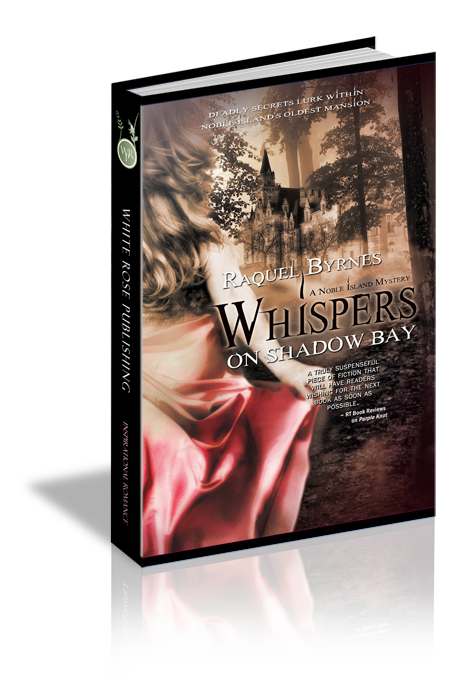 Raquel Byrnes has crafted a story filled with mystery and intrigue and just enough romance to satisfy without taking away from the overall plot.